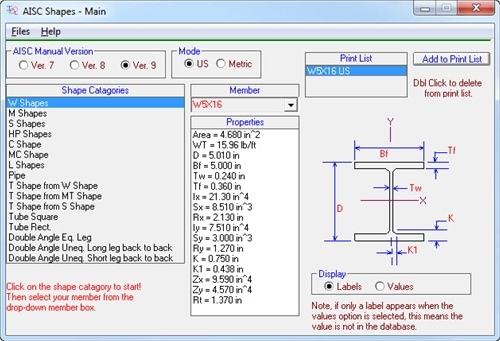 (Metric and US units) This database program provides all the section and dimension properties for steel shapes, based on the 7th, 8th and 9th edition of the AISC steel manual. Great graphics and print capability. Now you'll never say "#$% I have the wrong version of the manual! ".